Subcontractors - McAlvain Companies, Inc.
Our company is driven by relationships and defined by the quality of work we provide to our clients. To continuously delivery our projects on a very high level and holding ourselves to the highest standards, the existing relationships we maintain with the subcontractors and suppliers we employ is critical. 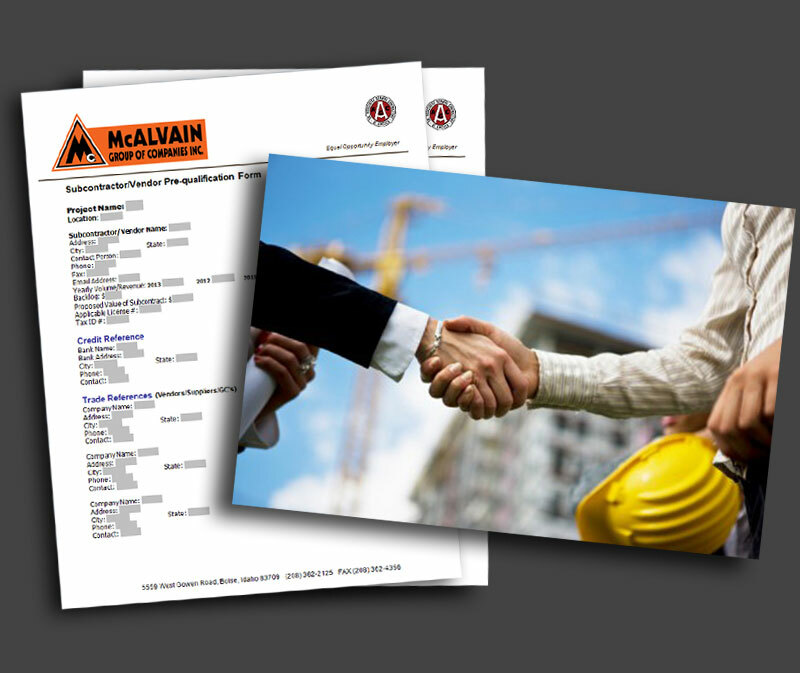 Subcontractors and vendors working or interested in working with McAlvain must prequalify annually. This can be completed by (1) clicking the link below to begin our online pre-qualification process or (2) downloading the form and emailing it to subprequal@mcalvain.com. Please include a signed W-9, sample insurance certificate with all applicable endorsements, and your most recent fiscal year end financial statement. Information submitted is confidential and will be reviewed by CFO/CEO/President and only used for pre-qualification purposes.